QB Copper Recycling is a specialist in recycling copper in Perth. Copper is a favourite metal among collectors and a metal that has been recycled for thousands of years. QB Copper Recycling pays cash to copper scrap owners to recycle their products. Bare Bright Wire – Bare bright wire is considered the best grade of copper as it is bright and shiny with no paints or enamels. At QB Copper Recycling, we recycle all grades of copper, including bare bright wire. Copper Tubing – Copper tubing is also considered grade 1 or 2 copper and brings a fair price for its recycling. Get it recycled with QB. Roofing Copper – Roofing cooper is considered grade 3 copper. Brass – copper consists of brass and many products like plumbing products and pipes are constructed of brass/copper. At QB you have your recycler to recycle your scrap metals. Above are just a few of the copper products that we recycle. For a complete list of copper products that you can have recycled with QB, contact us. We pay cash to recycle copper products of all types. Copper recycling is challenging if not done properly. QB Copper Recycling has the expertise and years of experience to conduct eco-friendly copper recycling in the safest way in Perth. There are many elements present in copper that are indestructible and requires special attention. If we want to get the best result, copper must be cautiously moulded and melted to create new copper elements for future use. 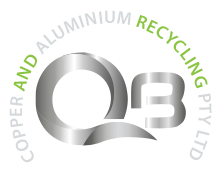 At QB Copper, we conduct a safe recycling process in our own recycling centre. Unwanted copper scraps, if exposed for a long time can be hazardous. To save our environment, you can now easily get rid of all kinds of unwanted copper scraps from your home, office or industry. QB Copper Recycling buys all kinds of unwanted copper from you and pays you the highest cash, instantly! Get top dollars today! The more the copper weighs, the more value you’ll get! Copper recycling has many benefits, among which includes safe environment, and economic benefits. We buy your copper scrap from you so that you don’t dispose them at any landfill. We take all the copper scraps to our recycling centre where we eliminate the hazardous parts, before dismantling. Our experienced and skilful staff conduct Eco-Friendly Recycling once all the procedures are completed. Through recycling, we need fewer components to produce copper. These copper, once recycled can be made into various elements and can be used for different purposes. Extracting and manufacturing raw materials are very expensive. Recycling copper saves the time, energy and money because we melt and mould copper. This is cheaper and more convenient for all. You can now eliminate your trouble in disposing of copper scraps anywhere. At QB Copper Recycling, we offer you with a range of recycling bins for your convenience. Complete the form on the website and we’ll provide you with the properly sized bin.